Okinawan Shorin-Ryu Blog : Happy Birthday!! 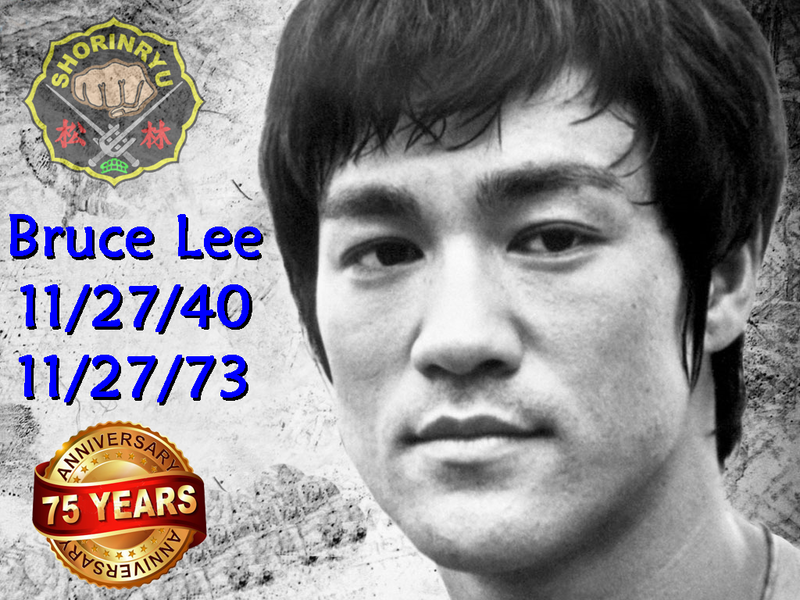 If he were still alive today, 27 November, Bruce Lee would be 75 years old! Can you imagine? 75! To me he will always be 33. I remember the first time I "met" Bruce in 1972. I had just started school at Brevard Community College while living on-base at Patrick AFB, FL. I had a part-time job in the base theater but absolutely no interest in those crappy low-quality Chinese movies. My best friend, Wesley Golden, convinced me to stay and watch "Fists of Fury". I went home, sawed a broom in half, put a length of chain between them and proceeded to beat myself to death with the worst set of nunchakus ever made - nonetheless I was hooked! I saw the move again 6 times. After than Wesley convinced me to come join a group he had joined studying karate. That was how I met Palmer Renshi and was introduced to Matsubayashi-ryu. Bruce was my introduction to Shorin-Ryu. I, like so many others, owe him a debt I can never repay. IMPORTANT NOTE: If anyone knows how to contact Wesley Golden, PLEASE have him contact me! Thanks.